But as weak law enforcement, porous borders and corruption help make the country a hub for transnational crime, Thai authorities are intensifying Operation X-Ray - a programme that started about a year ago - with more than 1,000 people arrested in recent weeks, most for overstaying their visa. He told the media that the operation was aimed at weeding out visa overstayers and nabbing criminals - especially "romance scammers" who lure lonely locals online to defraud them of cash. 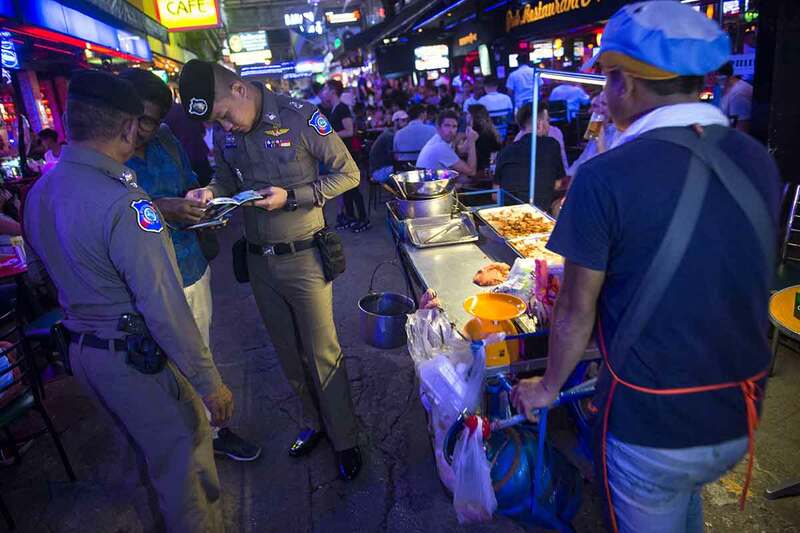 At the start of a night time operation witnessed by AFP in Bangkok's rowdy Nana district earlier this month, about 75 Thai police officers stood in rows at a briefing. By 11:55 pm, almost 30 individuals - about half of whom were black - had been rounded up. They also found a Lao PDR national who had overstayed his visa by more than 11 years. "Thailand's immigration crackdown has swept up refugees and asylum seekers, sent young children into horrid, prison-like conditions, and appears to have clear aspects of racial profiling against South Asians and Africans," said Brad Adams, Asia director at Human Rights Watch (HRW). Thailand is not a party to the United Nations (UN) convention recognising refugees and made headlines in 2015 for deporting more than 100 Uighurs back to China.